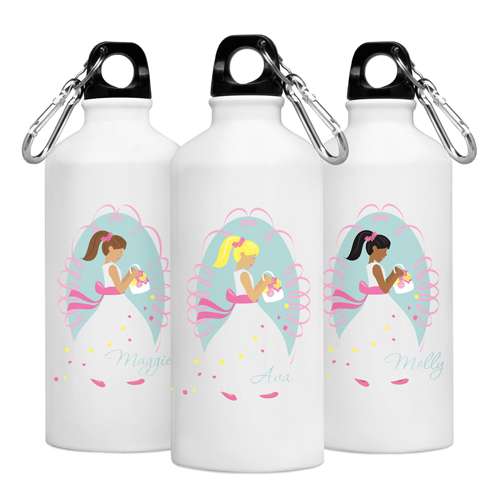 * Keep the bride and her attendants hydrated with our cute and colorful personalized Goin' to the Chapel Water Bottle series. 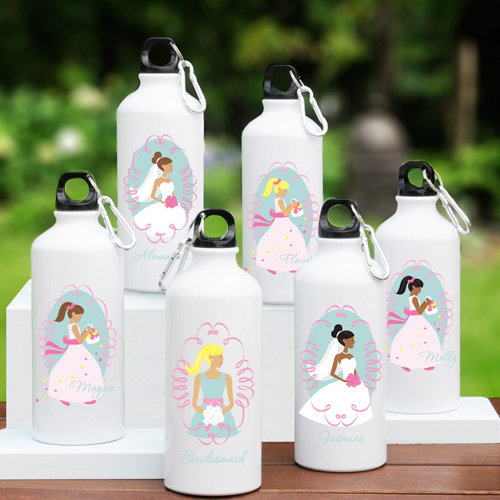 * They make great bridesmaid's gifts they'll use again and again. 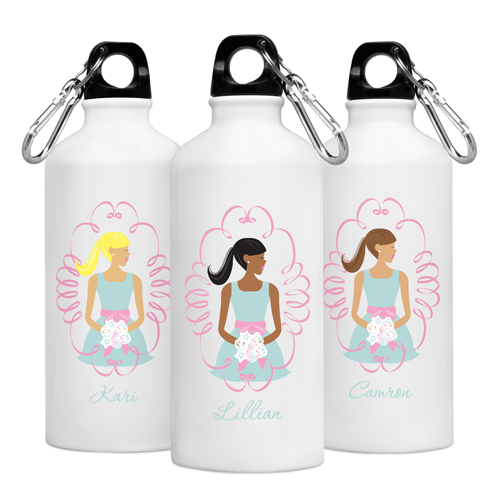 * Complete with a sturdy cap and convenient clip, these personalized 20 ounce aluminum water bottles include a pretty image and name of the recipient written in script. 8.25" x 2.75" x 2"